Well, I have a pretty pretty new fauxdori to play with and need inserts! 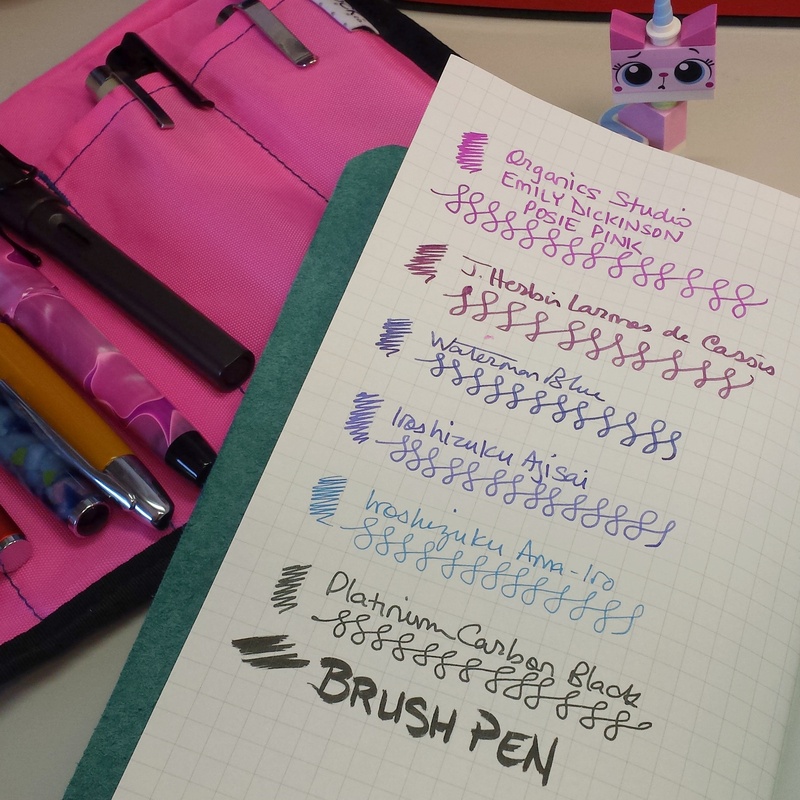 I ordered four different refills, and as they come in will post reviews and impressions. Here’s the first of four. But first, a pic of my new cover from Jot. Featuring Unikitty! But back to the review. 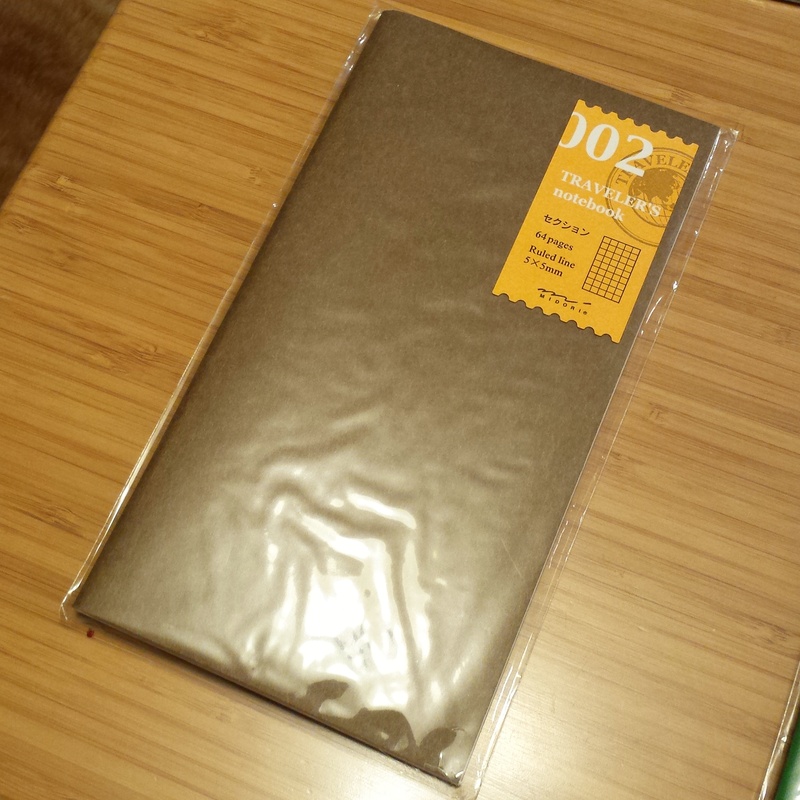 Grid paper is ALWAYS a good idea, so I started with the regular size Midori #002 refill. Regular size is about 4.3″ x 8.25″. This notebook is stapled and contains 32 sheets or 64 pages. 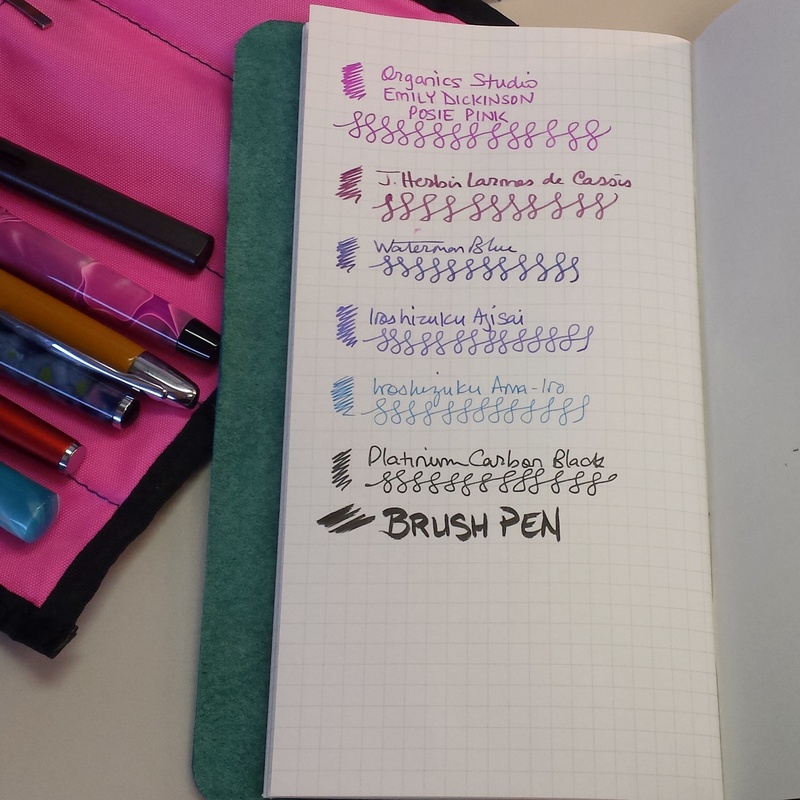 You can get it from lots of different sources, but my two favorites are Goulet Pens or JetPens. 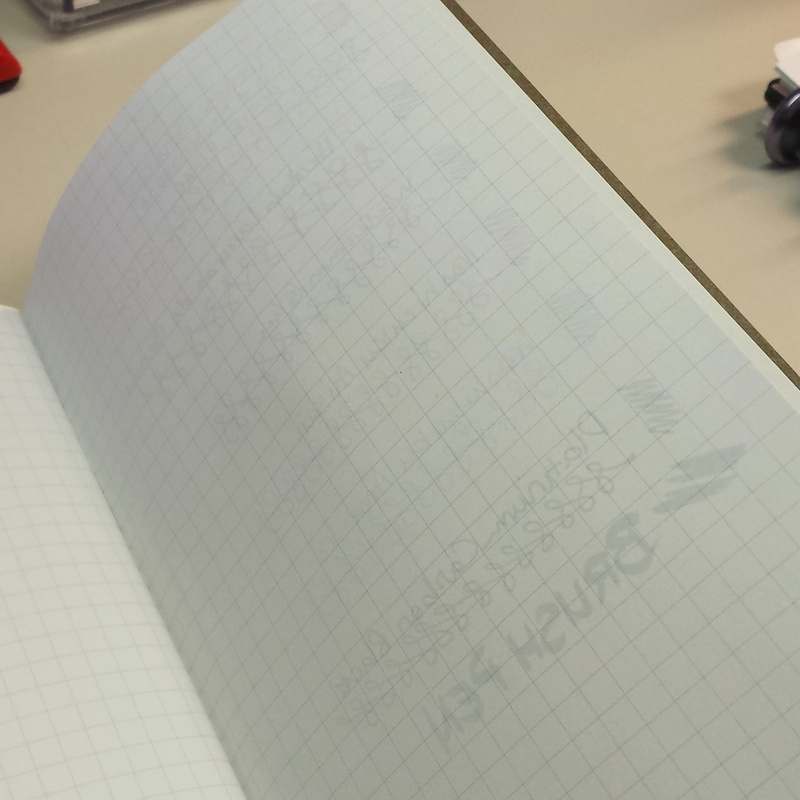 The grid lines are a nice unobtrusive gray, and the paper surprisingly fountain pen friendly. Here is a sample of what I had currently inked. No feathering or bleeding!! The backside of the fountain pen scribbles. 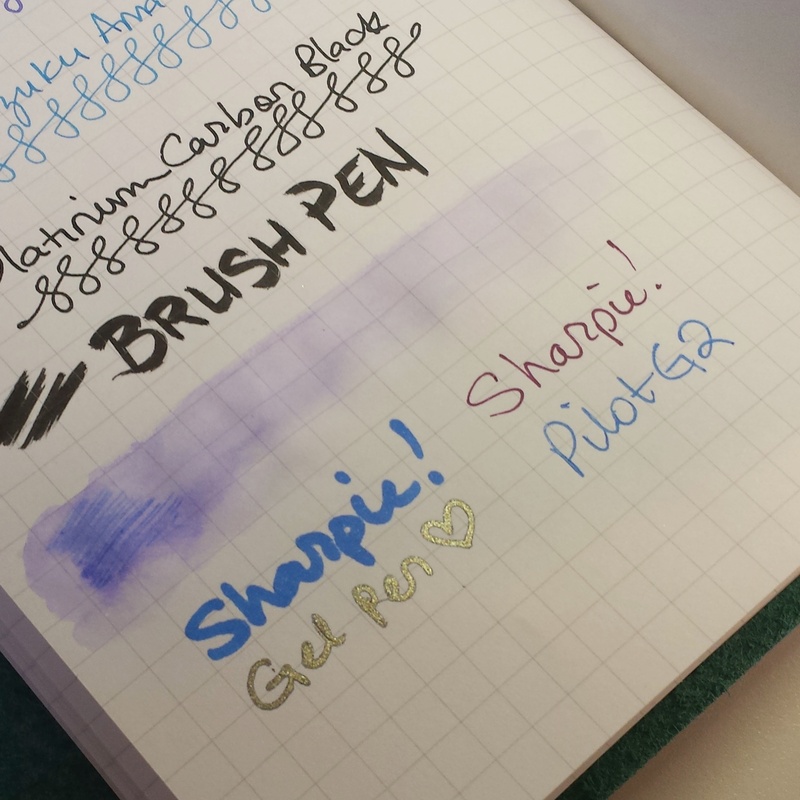 I decided to go a step further and test out some other pens I had at my desk, including Sharpies and a waterbrush. 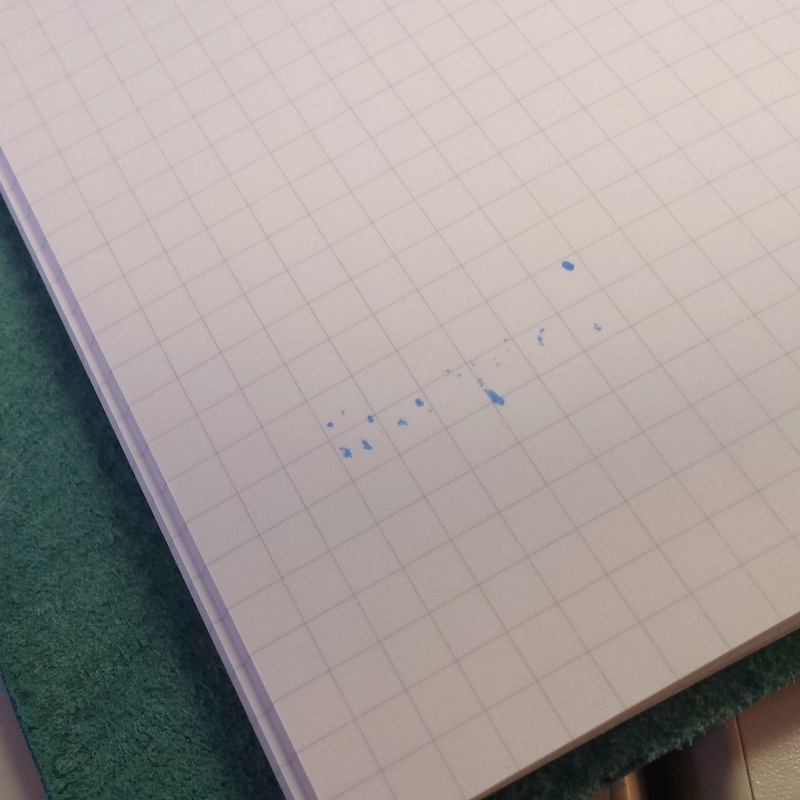 Paper behaves well with the waterbrush – not fantastic, but it doesn’t start to deteriorate as soon as it gets wet either, like in my Rhodia. The fat nibbed Sharpie definitely bled through to the backside. …. and onto the other page behind it. 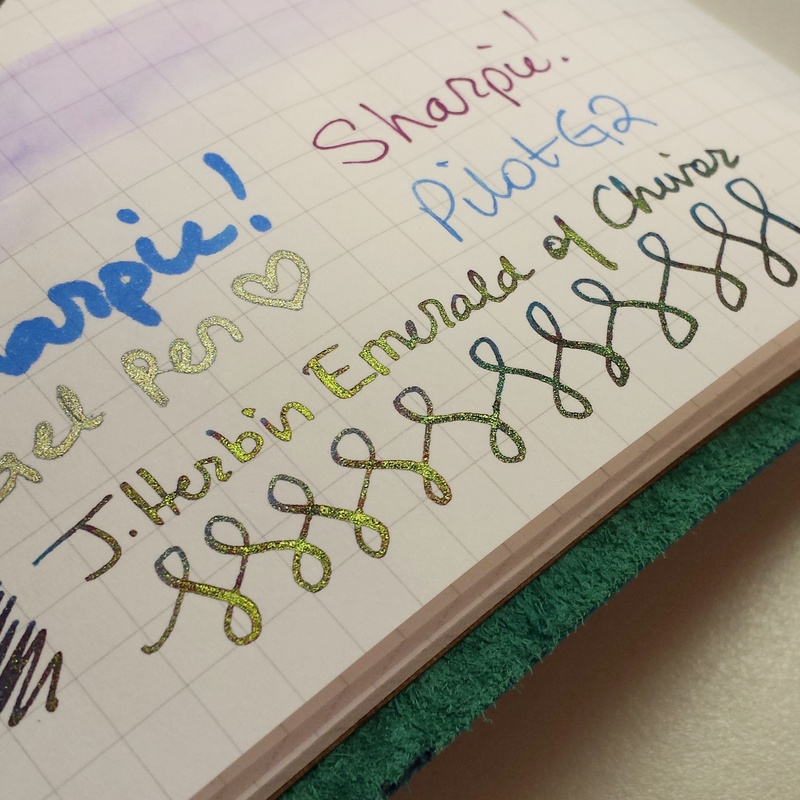 So then, the ultimate test now for me – how does J.Herbin Emerald of Chivor look on it!? You don’t get the red sheen that leaps off the page when on Tomoe River Paper, but you do get a great gold glittery effect. 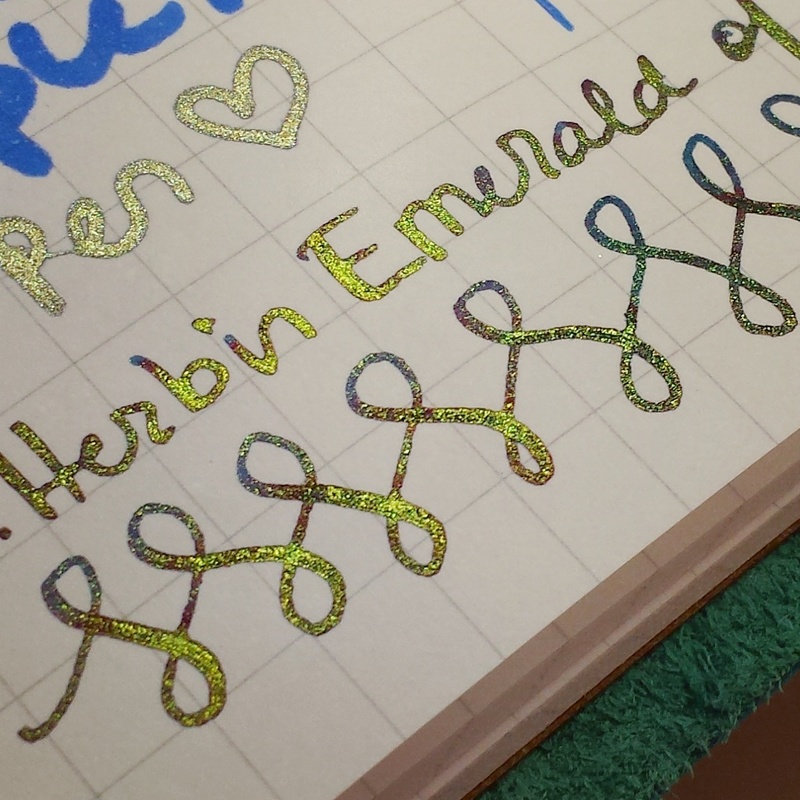 Ooooh the sparklies from this Noodlers Ahab…. And the backside – still no bleedthrough!! Even with a wet wet ink in a flex nib! What great paper!! 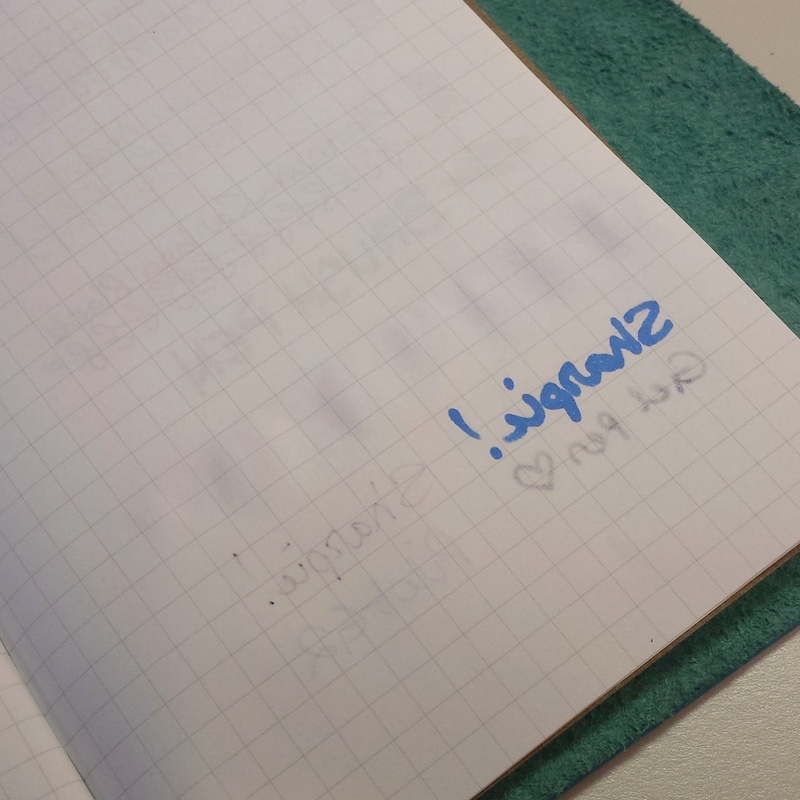 Conclusions: a great grid paper notebook! 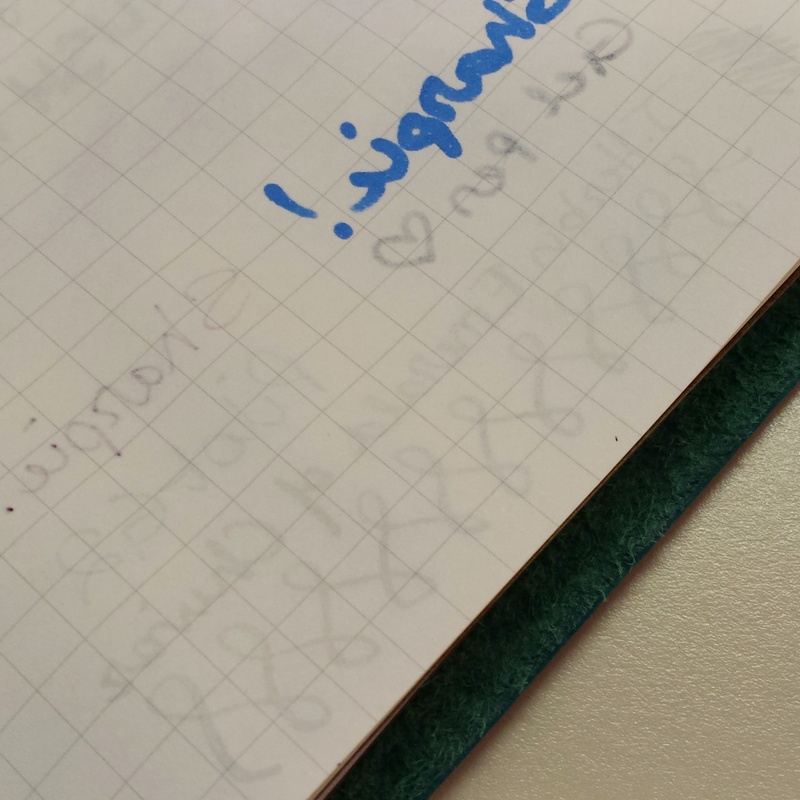 As a Midori newbie, I’m pleasantly surprised by the fountain pen friendliness of the paper here. Can’t wait to see how the other refills I have coming rank. 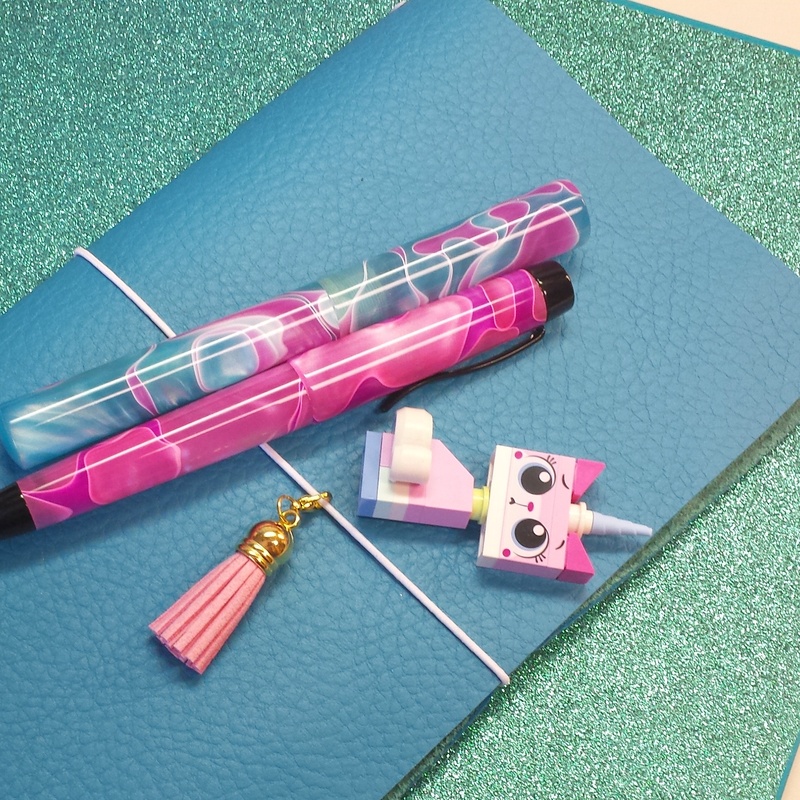 What is the pink pen holder you have in the background?